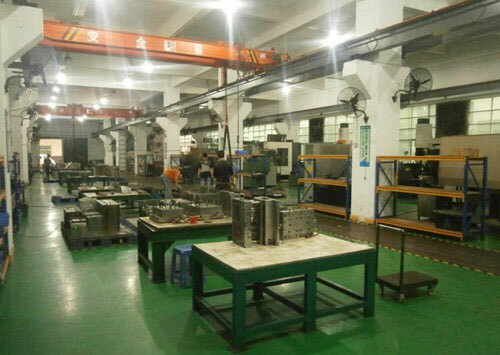 Our company has a full tool room to complement our plastic injection molding operation. 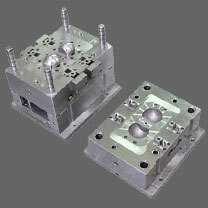 It is very important to our customers that we have on site injection mold building capabilities. Their major concerns are tool down time for repairs or modifications and also expense since they know the outside tool shop will have higher costs which we would have to pass on. We market our quick turnaround tooling using MUD systems and this is the main new build business we run through our toolroom, leaving time for our in house tool maintenance and repairs. We quote our new 8-10 week tooling using our top outside/off shore tool shops. When projects arrive we can then decide if we have the time in house and if can afford to do it for the price, if not then we send it out. Without our quick turnaround tooling sales, we would not have enough revenue to support new and updated equipment. Our ownership is extremely supportive of keeping our tool room equipped with new CNC equipment and has budgeted for a new HAAS. The only thing I caution plastic injection molders about is that they do a thorough job of housekeeping in their tool room. Many injection molders keep their factory floors neat but don’t give the tool room much attention. Since customers always want a tour of the tool room it is a major turn off if it is dirty and disorganized.